OK, dear friends. In this encore PODCAST (while I am away speaking), we are about to leap off of the high dive into the shark-infested waters of what has become today an unnecessarily emotionally-charged, needlessly controversial issue among many of our so-called evangelical/fundamental churches. One that has done immeasurable damage to the precious women in far too many congregations. It absolutely sickens me to think how so many of us men have depreciated the value of women in the work of God. And as you will hear ever-so loudly and clearly, it sickens Jesus too. Who would have thought that women, specifically the role of women within the work of God on this earth, would become a hotbed of controversy? But it has. And just in case you are wondering here at the “get-go” whether or not I am a complimentarian or an egalitarian on this issue. I am neither. Oh how I hate labels. Words that mean different things to different people (usually inaccurately so) with little or no nuance. Words that carry so much baggage. God has dramatically used, presently uses, and will continue to use women to further His purposes on this planet. Both inside and outside of local churches. On its surface, storyline in these final verses of Acts 11 is really pretty simple. And as you will hear in this PODCAST, this story is as heartwarming as it is simple. This story is also—and so importantly—equally trend-setting. So much will be set in motion that affects how we do things (or ought to do things) even today! So.Much.Here, my friends, to give you and me pause to ponder, to think, to process. Trust me. You are in for a rich and rewarding excursion into the depths of God’s Holy Word. So get ready for your personal edification to take an exciting and exponential leap forward. Her Hebrew name was Tabitha. And as you will hear in this PODCAST, Dorcas was her Greek name. Well, she may have had nothing to do with Romeo and Juliet. But fact is, Tabitha by any other name, AKA Dorcas, would still be as sweet, kind, and beautiful. For both Tabitha and Dorcas both mean “Gazelle.” Distinctly beautiful names each, both of which speak to the inner beauty and kindness and sweetness that radiated from this singularly special woman. So special that Luke singled her out in order specifically to tell her exemplary story. As did Peter, who at news of her untimely demise literally—at a moment’s notice—dropped everything in order to be at her bedside within hours of her passing. What was it about this woman that would cause the lead apostle to rush to her side upon hearing sad news? What was it about this woman that brought life in the prominent seaside town of Joppa to come to a screeching halt at the moment of her death? What was it about this woman that so profoundly challenges each of us today to ask ourselves one profoundly challenging question, the answer to which is so stunningly simple? Are you ready to meet Tabitha, the graceful gazelle? Trust me. As you meet her, you will never view your life the same way again. If this doesn’t send shivers up your spine, I don’t know what will. In this PODCAST, you are about to hear an absolutely amazing story about a most-remarkable individual, whom we barely met last week—Simon the Samaritan Sorcerer. A man, BTW, whose eternal destiny—when all is said and done—remains a question mark, shrouded in mystery. “Then Simon himself believed and was baptized” (Acts 8:13). Simon the Samaritan Sorcerer—A living, breathing contradiction—as we might expect from someone trafficking on dark side. 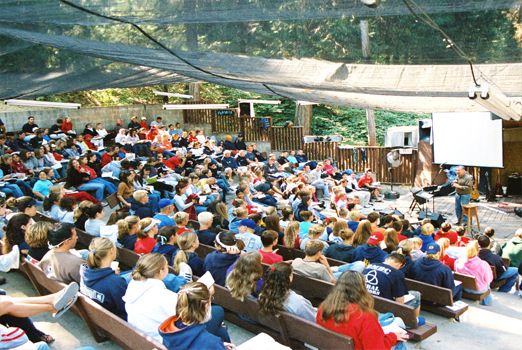 While I am away speaking at a Junior High/Middle School Camp at a place near and dear to my heart–Hartland Christian Camp–may I welcome to the Upper Room, and Jesus’ farewell address to His beloved disciples. As you are about to hear in this PODCAST, as we break the seal on this, Jesus’ final night before the crucifixion, I do so with something of a lump in my throat and the pinkish hue of embarrassment upon my otherwise rosy cheeks. This because this particular portion of the grand story of Jesus’ life and ministry hits me most personally. And if, as they say, “Confession is good for the soul,” then I make my confession to you, my beloved little Safe Haven family, tonight.